China's gross domestic product (GDP) expanded 6.7 percent year on year in the first three quarters of 2018 to about 65.09 trillion yuan (about 9.38 trillion U.S. dollars), data from the National Bureau of Statistics (NBS) showed Friday. The pace was in line with market expectations and higher than the government's annual growth target of around 6.5 percent. 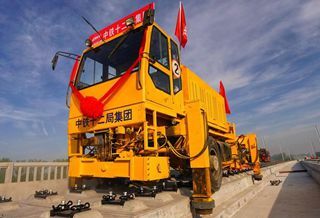 In the third quarter, China's GDP rose 6.5 percent from a year ago, compared to a 6.7-percent increase in the second quarter, the NBS said in a statement. The economy has expanded in a reasonable range and maintained a trend of overall stability and steady progress, the statistical authority said, while acknowledging that the country faces more external challenges and rising downward pressure. The service sector gained 7.7 percent year on year in the January-September period, picking up from a 7.6-percent increase in the first half, and outpacing 3.4 percent in primary industry and 5.8 percent in secondary industry.